The past few years have seen the rise in popularity of retro consoles. Nintendo has seen plenty of success with their NES and SNES Classic consoles while Sony's PlayStation Classic, while imperfect, does provide a way to relive your childhood Metal Gear Solid moments. However, many DIY-ers have been using emulators for years to play retro games and RetroArch has been one of the leading emulator front-ends. 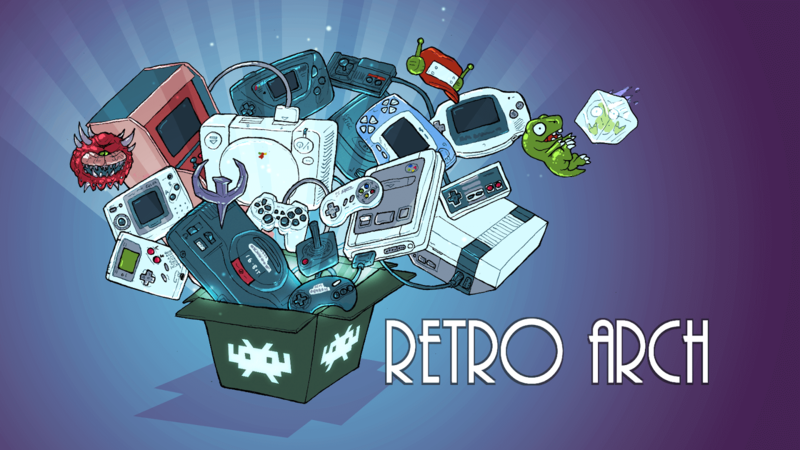 The developers of RetroArch, Libretro, are now bringing it to Xbox One. Yesterday, the Libretro team tweeted that their emulator will be on the Xbox One sometime in early 2019 although Developer Mode might be required. Microsoft's current policies prevent emulators from being released in the Microsoft Store. However, putting the Xbox into Developer Mode sidesteps that restriction. A number of emulators were present in the Microsoft Store before the company updated its policy. The NESbox Universal Emulator supported an array of consoles including NES, SNES, Gameboy, and Sega Genesis. The emulator is still available for side-loading via Developer Mode. Many people have already used RetroArch on the Raspberry Pi and even the SNES Classic itself (which ironically plays PS1 games better than the official PlayStation Classic). Adding Xbox One support is certainly a positive thing for those who want to keep their Xbox as their primary gaming machine. The Libretro team did comment that the PC is still preferable for emulating 3D games given the increased horsepower. The usual caveats with using emulators still apply. Install if you know exactly what you're doing and willing to deal with any potential consequences. Additionally, turning on Developer Mode on the Xbox One requires a developer account which costs $19. If you ever want to turn off Developer Mode, it requires a factory reset of your Xbox One. The video below shows the emulator in action. If consoles had more power then buying and PC would be less viable and there would be more competition. Not to mention already insane sale prices and fanboys. What in God's name are you talking about? How much power do you need to plan an SNES/PS1 game? Competition for what? Your post makes no sense at all. if consoles had more power (more fps) to play multiplayer cross platform games eg fortnite (and whatever **** people play) it would be more viable and increase the chance of people buying a console over a pc. My One X has more than enough power to play games like Fortnite. @Nightfire Your missing the point, the reason people buy PCs over consoles is because they have more power. Sure you can maybe get 60 fps on medium settings but if I get a pc for $500 I can expect more power. I will play nice and not post with the ad hominom, but I am not convinced that people buy PC over consoles because they have more power.